Joey Logano isn't sweating it....yet. But the question is still there -- too much too soon for this kid? How much economic impact does a NASCAR race have? Kyle Busch is so dominating that he's almost intimidating: The next Dale Earnhardt? 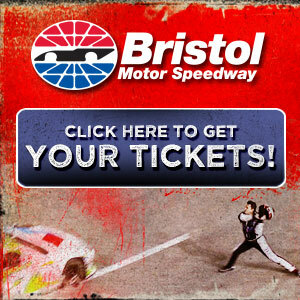 Will Sunday's Bristol 500 continue this season of surprises? Jeff Gordon's bad crash here last season sparked some major safety improvements by track promoter Chris Powell, and drivers are appreciative. But Jeff Burton says other tracks, including Charlotte's Lowe's Motor Speedway, still need to make similar safety improvements. Burton says "I hate we keep re-learning lessons. "People have been encroaching on pit-wall openings for a long time. We need to do better as drivers when we see places at a track of bringing that to the attention of the tracks. "The tracks need to be proactive. Vegas jumped right on it and fixed the problem. "But there are other tracks that have issues. The back straightaway at Lowe's has an issue that needs to be fixed. "There are some tracks that still have that issue. "We have to look really hard at where and how we can hit walls….and the soft wall is a huge part of it. "But the angles at which we hit walls is huge too, and we just can't have openings that you can get in to (like Gordon did last year). "We should have learned that lesson and not have that problem ever again." Carl Edwards agrees with Burton: "Wherever you can put those SAFER barriers, you've got to put them. "I've seen some of those rescue-vehicle escape areas -- where the wall 'bends.' Someone crashed at Kentucky a couple years ago, and it was a horrendous crash. You could almost hit 70 or 80 degrees into one of those. "I know it costs a lot of money, and it's great for this track to have stepped up and done that. "I hope they're doing it at all the tracks." Gordon himself? "I haven't really looked at that part of the track…but I have confidence in Las Vegas Motor Speedway, and I feel good about what they've done. And I'm hoping to have a little slower look at that part of the track. "But I'm not thinking a whole lot about what happened last year."